I have recently watched the epic 1968 science-fiction film 2001: A Space Odyssey. The film was produced and directed by Stanley Kubrick. 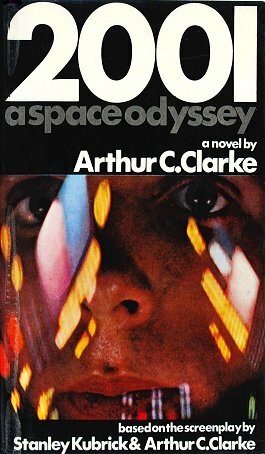 The screenplay was written by Kubrick and Arthur C. Clarke, partially inspired by Clarke’s short story “The Sentinel” and the novel 2001: A Space Odyssey. It deals with the themes of existentialism, human evolution, technology, artificial intelligence, and extraterrestrial life. It starts In an African desert millions of years ago, a tribe of ape-men is driven away from their water hole by a rival tribe. They awaken to find a featureless black monolith has appeared before them. Guided in some fashion by the monolith, they learn how to use a bone as a weapon and drive their rivals away from the water hole. Millions of years later, a Pan Am space plane carries Dr. Heywood Floyd to a space station orbiting Earth for a layover on his trip to Clavius Base, a United States outpost on the moon. his Soviet scientist friend and her colleague ask about rumors of a mysterious epidemic at Clavius. At Clavius, Floyd heads a secret meeting of base personnel, His mission is to investigate a recently found artifact buried four million years ago. Floyd and others discover a monolith identical to the one encountered by the ape-men. Sunlight strikes the monolith and a loud high-pitched radio signal is heard. Eighteen months later, mission pilots and scientists Dr. David Bowman and Dr. Frank Poole, along with three other scientists in cryogenic hibernation are traveling to Jupiter aboard the United States spacecraft Discovery One. Most of Discovery’s operations are controlled by the ship’s computer, HAL 9000, Hal states that he is “foolproof and incapable of error”. However Hal seems reluctant to inform them of the purpose of the mission. After a technical glitch Mission Control advises the astronauts that Hal may have started malfunctioning. Hal insists that the problem is due to human error. Becoming Concerned about Hal 9000’s increasingly erratic behavior, Bowman and Poole decide to disconnect it. However this proves very difficult when HAL9000 takes control and shuts off Poole’s air supply while is on a space walk outside. Then While Bowman attempts to rescue Poole Hal turns off the life support functions of all the other crewmen in suspended animation. After rescuing Poole, Hal 9000 refuses to let Bowman back in, stating that they are jeopardizing the mission. Bowman opens the ship’s emergency airlock manually, enters the ship, and attempts to deactivate HAL. At Jupiter, Bowman discovers another monolith in orbit around the planet, Bowman then travels through a strange vortex before landing. After landing on Jupiter he starts aging rapidly and encounters another monolith before evolving further and becoming the mysterious Star Child. Scottish born Australian heavy metal guitarist Angus Young was born 31st March 1955. 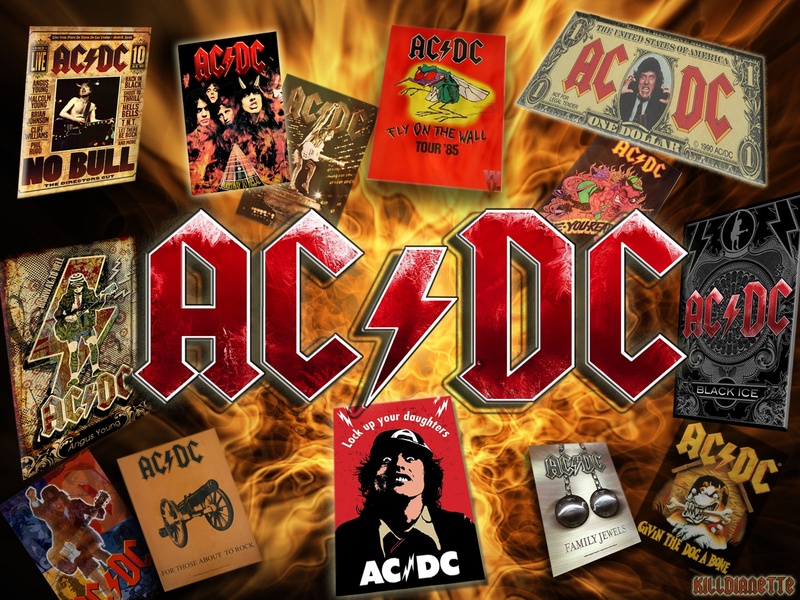 He along with brother Malcolm founded rock band AC/DC in 1973. The band are commonly considered pioneers of heavy metal, though they themselves have always classified their music as simply “rock and roll”. To date they are one of the highest grossing bands of all time. AC/DC underwent several line-up changes before releasing their first album, High Voltage, on 17 February 1975. In May 1846, Charlotte, Emily, and Anne self-financed the publication of a joint collection of poetry under the assumed names of Currer, Ellis and Acton Bell. Charlotte’s first manuscript, called The Professor, did not secure a publisher, although she was heartened by an encouraging response she received from Smith, Elder & Co of Cornhill, who expressed an interest in any longer works which “Currer Bell” might wish to send. Charlotte responded by finishing and sending a second manuscript in August 1847, and six weeks later this second manuscript (titled Jane Eyre: An Autobiography) was published. 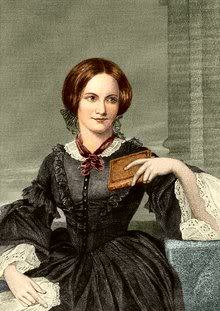 Jane Eyre was a success, and initially received favourable reviews. It was followed by the subsequent publication of the first novels by Charlotte’s sisters: Emily’s Wuthering Heights and Anne’s Agnes Grey. Graeme Edge, British drummer and songwriter with the Moody Blues was born 30th March 1941. Graeme Edge, Mike Pinder, Justin Heywood and John Lodge formed The Moody Blues on4 May 1964, in Erdington, Birmingham, England. The name developed from a hoped-for sponsorship from the M&B Brewery and was also a subtle reference to the Duke Ellington song, “Mood Indigo. They released a single, “Steal Your Heart Away” in 1964 and appeared on the cult UK series “Ready Steady Go!” singing the uptempo “Lose Your Money (But Don’t Lose your Mind)”. Their second single, “Go Now” became a hit in the United Kingdom and Their debut album The Magnificent Moodies had a strong Merseybeat/R&B flavour. It contained the hit singles “Go Now” and “Bye Bye Bird” together with one side of classic R&B covers. including a cover of “I Don’t Want To Go On Without You”,”From The Bottom of My Heart (I Love You)”, “Everyday”,”This is My House (But Nobody Calls)” and and “Boulevard de la Madeleine”. The group released the singles “Fly Me High” and “Really Haven’t Got the Time” in 1967 followed by “Love And Beauty” & “Leave This Man Alone”. The Moody Blues were then offered a deal to make a rock and roll version of Antonín Dvořák’s New World Symphony, and although executives were initially skeptical about the hybrid style of the resulting concept album. Days of Future Past became one of the most successful pop/rock releases of the period, earning a gold record award. It takes place over the course of a single day & drew inspiration from the pioneering use of the classical instrumentation by The Beatles. It includes the songs “Nights in White Satin” & “The Sun Set” “Another Morning”, “Twilight Time”,”Peak Hour” and “Evening (Time To Get Away)”. The 1968 follow-up LP, In Search of the Lost Chord included the songs “Legend of a Mind”,”House of Four Doors”,”Voices in the Sky”, “Ride My See-Saw” and “The Best Way To Travel”. The next album “On the Threshold of a Dream” contained the songs “In The Beginning”,”Lovely To See You”,”Never Comes The Day”,”Dear Diary” and “Lazy Day”,”So Deep Within You”,”The Dream”&”Have You Heard”. The band’s music became more complex and symphonic, resulting in 1969′s To Our Children’s Children’s Children, inspired by the first moon landing featuring the songs “Higher And Higher” “Floating” and “Eternity Road” “Gypsy”,”Out And In” the two part “Eyes of A Child” and “Candle of Life””Sun is Still Shining”. and “Watching and Waiting”. the Moodies next album was A Question of Balance (1970) this contained the songs “Question” and “Melancholy Man”. Their next two albums, Every Good Boy Deserves Favour (1971) and “Seventh Sojourn” featured their signature orchestral sound .These contained the songs “Procession”, “Story in Your Eyes” “Our Guessing Game”,”You Can Never Go Home”, “One More Time To Live”, “My Song” and “Nice To Be Here”. The Album “After You Came” (1971) featured “Isn’t Life Strange?”,”I’m Just A Singer (in A Rock ‘n’ Roll Band)”,”Sojourn”,”Lost in A Lost World” “When You’re A Free Man”, “For My Lady”, and “New Horizons”. In late 1972, a re-issue of Nights in White Satin became the Moody Blues’ biggest US hit. The Moodies also pioneered the idea that a successful rock band could promote itself through their own label, so following the Beatles’ creation of Apple Records, they created Threshold Records. However it proved unsuccessful although They did lay the groundwork for other major acts to set up similar personal labels and distribution deals including The Rolling Stones’ own label and Led Zeppelin’s Swan Song Record label.In 1974, after completing a vast world tour that culminated with a tour of Asia, the group took an extended break and released a compilation album This Is The Moody Blues. Justin Hayward and John Lodge then released the album, Blue Jays, and a single, “Blue Guitar”. Mike Pinder released a album The Promise.” Edge produced two albums with guitarist Adrian Gurvitz, Kick Off Your Muddy Boots and Paradise Ballroom; Hayward composed the albums Songwriter, followed by Night Flight, Moving Mountains, Classic Blue, The View From The Hill and Live In San Juan Capistrano; Lodge released Natural Avenue; Pinder produced The Promise; and Thomas produced From Mighty Oaks and Hopes, Wishes and Dreams. In 1977, the group reunited and despite many problems The album Octave was released in 1978 contining “Steppin’ in a Slide Zone” & “Driftwood”, Justin Hayward also had a solo hit with the song “Forever Autumn” from Jeff Wayne’s Musical Version of The War of the Worlds. During 1979 The Moodies toured the US and Europe. The next album ,Long Distance Voyager,was released in 1981 containing the hits, “The Voice” &”Gemini Dream” the band started using a more modern, less symphonic approach, while still retaining a lush keyboard-led sound. The next album The Present yeilded the singles “Blue World” and”Sitting at the Wheel”. In 1986 they released the album The Other Side of Life, containing the songs “Your Wildest Dreams” “House of Four Doors”, “Candle of Life”,”One More Time To Live” “Here Comes The Weekend”, “Rock and Roll Over You”, “Love is On The Run (From Me)”, “The Actor”, “Dawning is the Day”, “You Can Never Go Home”& “The Land of Make Believe”. The Moody Blues also performed live at the Birmingham Heart Beat Charity Concert 1986 which raised money for the Birmingham Children’s Hospitals, and also provided backup with the Electric Light Orchestra for George Harrison. The Moodies released Sur La Mer in 1988 containing the single, “I Know You’re Out There Somewhere”. In 1991 they released the album Keys of the Kingdom contained the songs “Say It With Love”, “Never Blame The Rainbows For The Rain”,”Bless the Wings (That Bring You Back)”,”Magic” “Shadows On the Wall” “Lean On Me (Tonight)”and “Say What You Mean.”They also played at the Montreux Jazz Festival and made a series of recordings of their Night at Red Rocks concert. The next album Strange Times, was released in 1999 with the songs”English Sunset”,”Nothing Changes” and”This is The Moment”.The Moody Blues also appeared in one episode of “The Simpsons” called “Viva Ned Flanders”.In 2000, the band released “Hall of Fame”, a new live concert from Royal Albert Hall. In 2001, an IMAX film was released, entitled Journey into Amazing Caves. In 2006, they released remastered versions of Days of Future Passed, Seventh Son, Octave, Long Distance Voyager, The Present Plus a compilation of sessions recorded at BBC Studios, rarities & various TV appearances, entitled Live at the BBC: 1967-1970. The Moody Blues have sold more than 70 million albums worldwide and have been awarded 14 platinum and gold discs. As of 2012 they remain active and continue to tour. His work grew brighter in color, and he developed the unique and highly recognizable style that became fully realized during his stay in Arles in 1888. 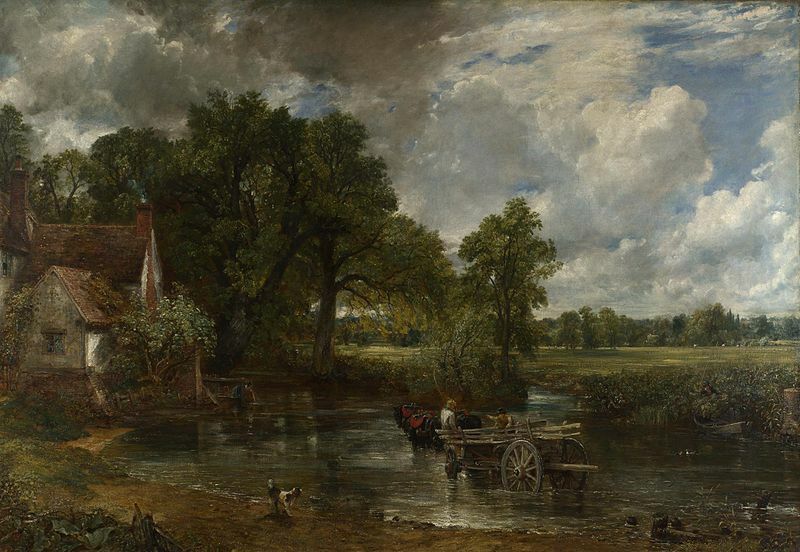 The extent to which his mental health affected his painting has been a subject of speculation since his death. Despite a widespread tendency to romanticize his ill health, modern critics see an artist deeply frustrated by the inactivity and incoherence brought about by his bouts of illness. According to art critic Robert Hughes, Van Gogh’s late works show an artist at the height of his ability, completely in control and “longing for concision and grace”. Van Goch sadly passed away 29 July 1890 at the age of 37 years old in Auvers-sur-Oise, France.